While you’ll likely encounter your fair share of travel credit cards which award flights and hotel stays, it can be a little more difficult to find decent rewards programs for your everyday purchases. Fortunately, the TRIO® Credit Card from Fifth Third Bank not only awards your restaurant, gas, grocery, and drug store purchases, but it provides other valuable perks that you won’t find with other cards. This card awards 3% cash back rewards at restaurants and 2% cash back rewards on gas and at grocery stores and drug stores, up to a combined purchase total of $1,500 per quarter. You also earn unlimited 1% cash back on all other purchases and on purchases made after you reach the quarterly cap on the other categories. New Account Bonus. You can earn a bonus of 10,000 bonus points, which can be redeemed for $100, if you spend $1,000 within 90 days of opening your account. You earn your rewards as points, with each point being worth $0.01. You can redeem points for cash back, statement credit, or deposit into your Fifth Third checking or savings account. You also have options to redeem for retail and restaurant gift cards, merchandise, and travel. Cell phone protection. This card includes protection for your cell phone of a maximum of $200 per claim and $400 per 12-month period. This covers your primary line as well as the first two additional lines on your monthly statement. You must charge your monthly wireless bills to your card. Mastercard benefits. Additional card benefits include ID theft protection and zero liability, as well as travel benefits like Mastercard Airport Concierge, Mastercard Travel Services, and TPC Private Club Access. 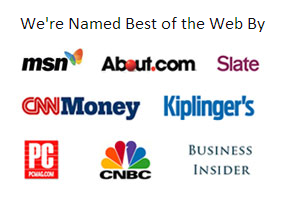 High cash back in everyday categories. This card awards one of the highest cash back rates in restaurant, gas, grocery, and drug store spending. Cards with comparable rates usually limit the bonus cash back to just a couple of these categories (such as just restaurants or just gas and groceries), if any. No foreign transaction fee. Although there are many cards without foreign transaction fees, they are typically travel credit cards with higher annual fees. Cell phone protection. One of the extra benefits you get with this card is cell phone protection, which can cover your line as well as two additional lines on your monthly bill. So far, there are only a couple other credit cards which offer this benefit. If you’re looking for a credit card that awards your everyday purchases, this card covers the most categories and offers some of the highest rates you’ll find. This card is also ideal for those who have balances on other cards and want to eliminate some of that debt without paying interest. Further, there are no foreign transaction fees and no annual fee, so if you need a card for making foreign purchases, you’ll save money on some of the fees that other cards charge for those purchases. 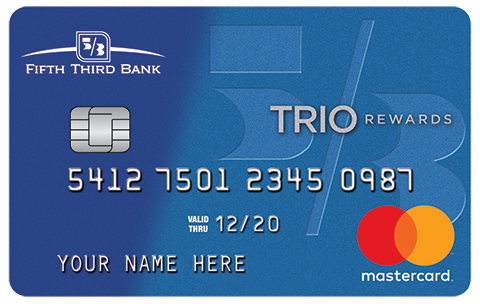 Click here to learn more and apply for the TRIO® Credit Card from Fifth Third Bank today! Frequent contributor to Yahoo, CBS Local, Deal News and Digital Trends.